Fashion icon in the making…. There is a story behind this picture, which I feel compelled to explain. 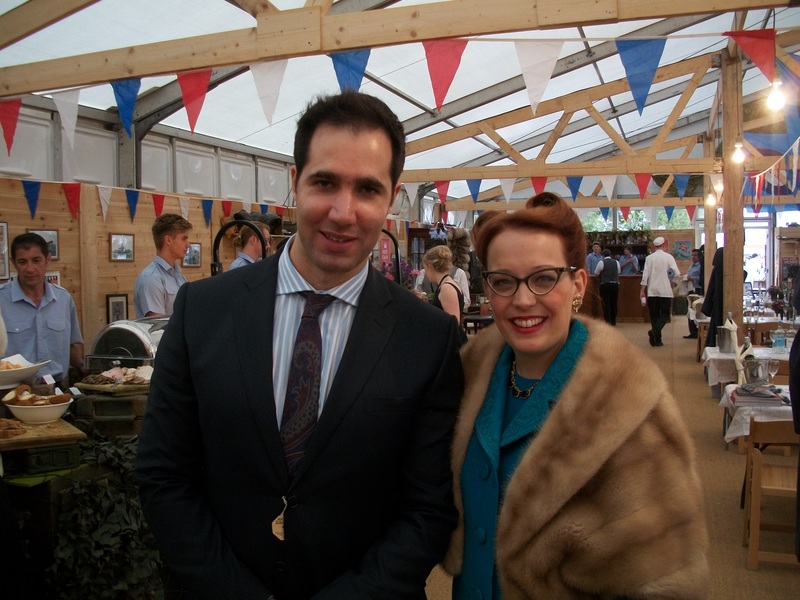 It was taken by Men’s File Photography on behalf of Goodwood Revival last September. 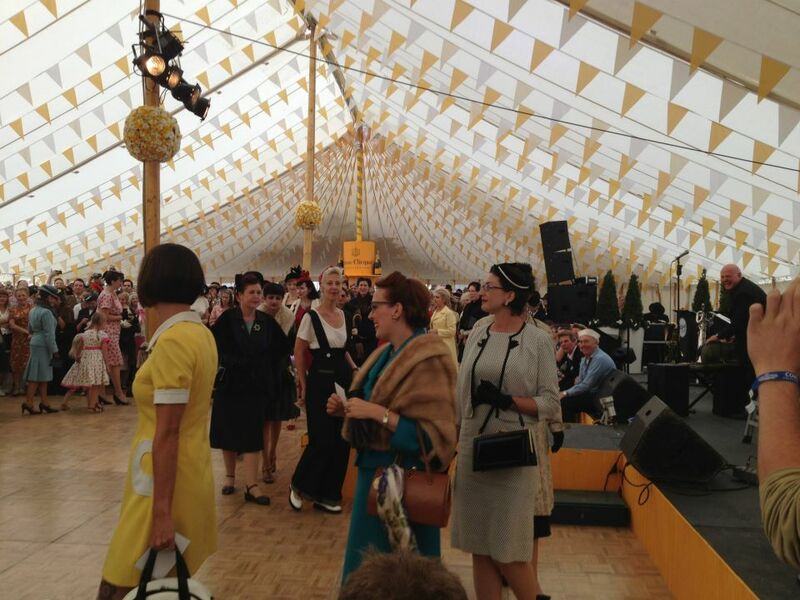 I was lucky enough to go to the Goodwood Revival for a second year in a row. The first year I was blown away by how amazing it was. It was like being on a film set and I didn’t want to leave, so when I was told we were going back I knew I had to look good! 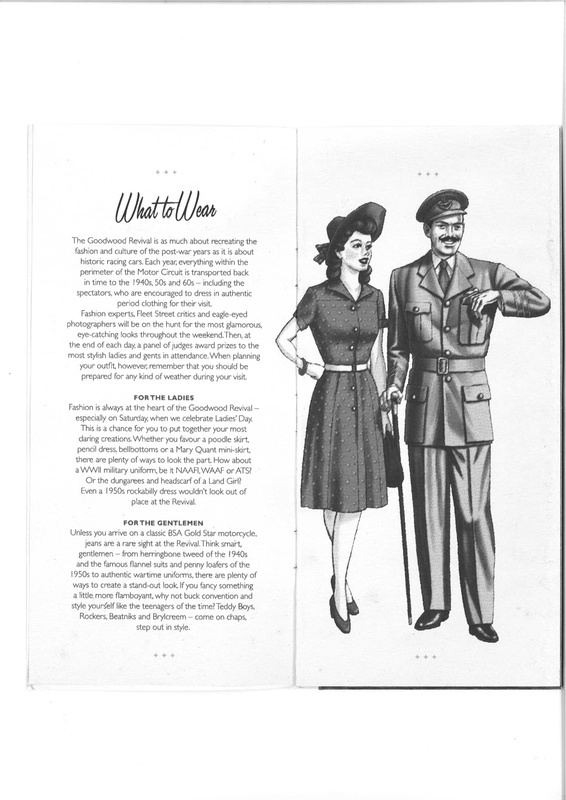 A fashion guide given by Goodwood. Armed with two outfits to take to the hotel (as a girl needs a choice in the morning) I was ready for the big day. Unfortunately it all went a little wrong with my hair and make up. The result was I became the most unpopular person in the group for a few hours as my fashion issues meant we got stuck in heavy Goodwood traffic and nearly missed breakfast. After we finally arrived and were rushing for food I was stopped by a lady who looked particularly fabulous. I didn’t take in a lot of what she said as all I could see was the ticket she had placed in my hand. For that moment and most of that day I felt like Charlie must have when he opened that Wonka bar to see the golden ticket. My very wise and handsome friend filled me in on what had just happened as I was still in shock. 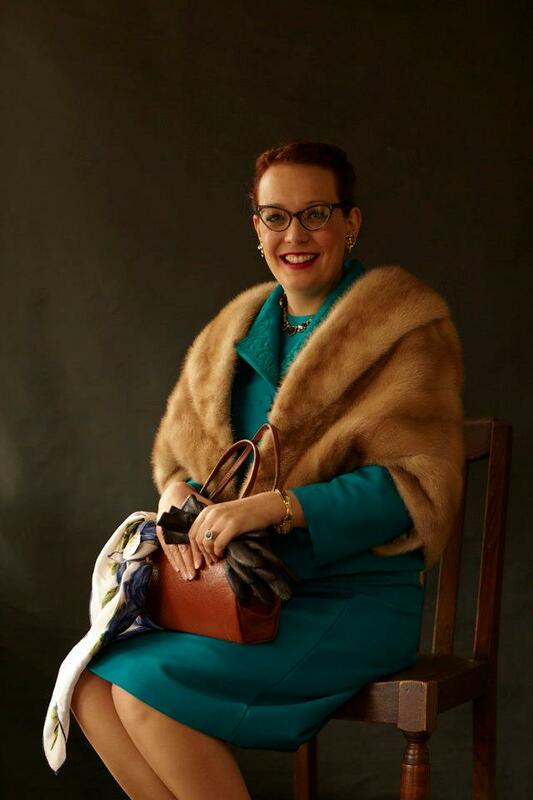 I had been selected as one of the lucky ladies of that day for ‘Best Dressed’ and as a result had my picture taken and was invited to participate in a fashion show later in the day. The fashion issues from the morning seemed like they never happened, a distant memory. Goodwood had around 146,000 people visit that weekend to the Revival so to get picked out of that wasn’t half bad. I didn’t win or come in the top three but I still felt like Charlie that afternoon and the feeling has not gone away. Surrounded by friends who were drinking in the atmosphere as well as the champagne, their suportive cheers ringing in my ears, I walked in a room full of people just like me, people with a passion for vintage. Amazing. Thanks Goodwood.